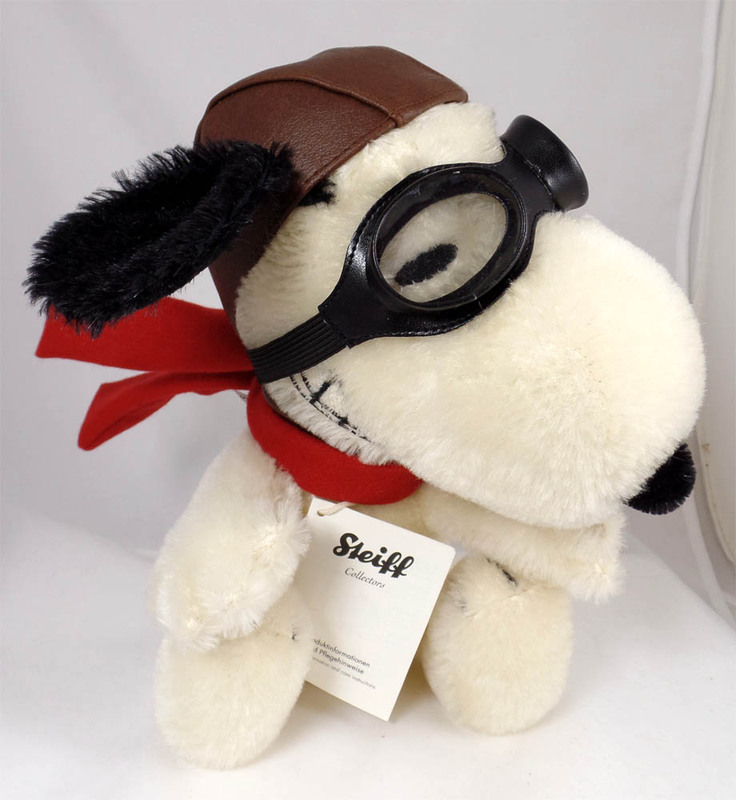 2012 Steiff Snoopy Flying Ace. He is made of white and black mohair and wears a custom-made aviator cap with protective goggles. His facial expression is his typical fighting grimace as he prepares to challenge his arch rival. His EAN number is 682070 and his limited edition number is 210/1,500 pieces. He is approximately 22.5cm's ( 9" ) high and has embroidered eyes and mouth. He is not jointed but his head swivels. He was made in Germany and was a North American Release. Note: He was the 2012 TOBY Industries Choice Award winner and 2012 Public Choice winner. He comes with two certificates, one side is printed in German, the other side in English. Note: The English version has Snoopy misspelled as Snoppy. This misprint is on all English certificates not just this one. It is brand new and only taken out of of the box to photograph.